In Portland Friday, a federal appeals court heard a challenge to Idaho’s roadless rule. Environmental groups argued the rule gives the Forest Service too much flexibility to build new roads. The courtroom was packed. Idaho's roadless rule is being challenged before the 9th Circuit Court of Appeals. Attorneys argued the case Friday in Portland. A dozen people made the trip from Idaho to sit in silent support of the state’s roadless rule, including former Idaho governor Jim Risch and the chair of the Kootenai tribe. 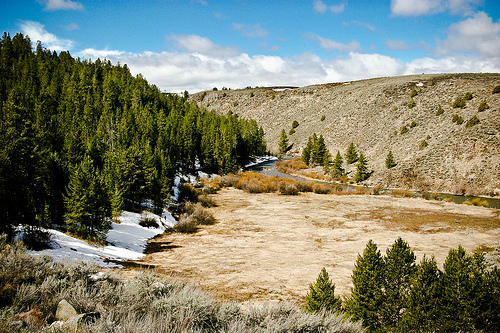 In 2006, the Bush administration allowed Idaho to come up with its own alternative to the federal roadless rule. An attorney with the environmental group EarthJustice argued the Idaho rule is too flexible, and that could set the stage for logging and mining in caribou and grizzly habitat. The U.S. Supreme Court will not hear an appeal to the so-called Roadless Rule. The law bans development on nearly 60,000,000 acres of national forest land. Since its enactment in early 2001, the Roadless Rule has drawn fire from Western states and industry groups -- most recently the state of Wyoming and the Colorado Mining Association.